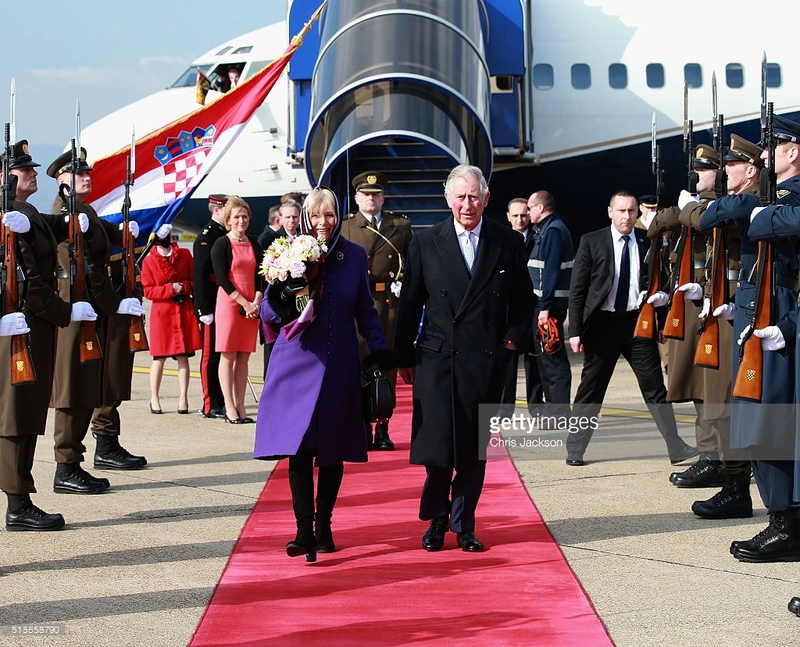 Charles, The Prince of Wales and his wife Camilla, Duchess of Cornwall, landed Monday 14 March in Croatia’s capital, Zagreb, for a two-day stay before proceeding to Serbia, Montenegro and Kosovo. The British royals are expected to promote peace and reconciliation in the region where some 100,000 people died during the 1990’s war and over a million were displaced. There have been fears Balkan tensions could be fueled by the ongoing migrant and refugee crisis. 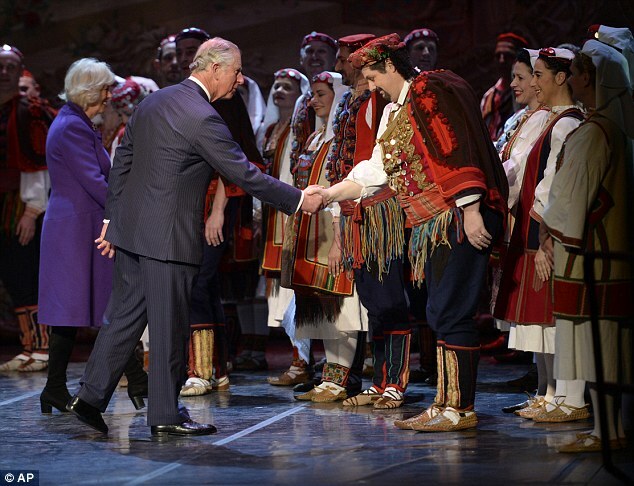 The region has seen a huge influx of refugees from Syria, now mainly confined to the borders, but the royal visit will not see Charles meeting those fleeing war, as he has done on recent trips to Jordan. The Duchess will carry out a number of events highlighting the work of those combating sexual violence, an issue she has championed for a number of years, while the Prince will also focus on a key issue he has supported, inter-faith dialogue. There was “incredible” excitement in Croatia over the visit, even more excitement than what a visit from the United States president – certainly for countries in this region, Ian Cliff, the British Ambassador to Croatia had commented to UK Daily Mail. 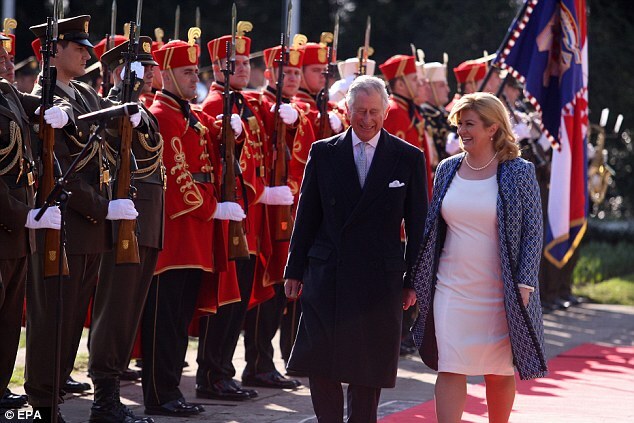 On a political level capturing significant historical facts the revelling for the British Royal’s visit to Croatia so close to the May commemoration of the Bleiburg massacres of May 1945 – is simply non-existent. Croatian people, Croatian history, would largely expect at least an acknowledgment if not an apology for the terrible, terrible deeds that occurred under the British watch at Bleiburg and around it mid- May 1945. In that time in history the British army administering that part of post-WWII Austria, instead of carrying out the promised assistance for a safe passage to refugee camps in the “West” forced the hundreds of thousands of unarmed Croatian soldiers, civilians with women and children fleeing Josip Broz Tito’s communist Yugoslavia – back to Yugoslavia and into certain death by massacres and mass murders. But still, the moments of excitement for the Royal visit to the Croatian town of Osijek in Slavonia (the region of Croatia that suffered terrible damages and deaths during the 1990’s war of Serb aggression and managed to reintegrate the Serb occupied Croatian territory through the process of peaceful reintegration) are aplenty but they also bring mixed-feelings and slight unease. That is, Prince Charles’ great-great-grandfather Francis Duke of Teck – father to the British Queen Mary consort to King George V, mother to Edward VIII and George VI, grandmother to Queen Elizabeth II and great-grandmother to Charles, Prince of Wales – was born in Osijek (then known as Esseg), Croatia in 1837 (which then belonged to the Austro-Hungarian Empire) but that fact had been kept mysteriously under the covers for generations. It was from Osijek that Francis Duke of Teck moved to London as young man in 1866 with little means and no wealth but those facts had for a long time been concealed from the world’s public until a few years ago when the English Wikipedia published them, and this part causes a certain unease with the public in Croatia as if the Royal family have not been upfront intentionally about the “immediate” family history, rather citing Vienna as Duke of Teck’s birthplace. Perhaps Vienna was more “posh” a place in the Austro-Hungarian Empire but for goodness sake – birth place is a birthplace! 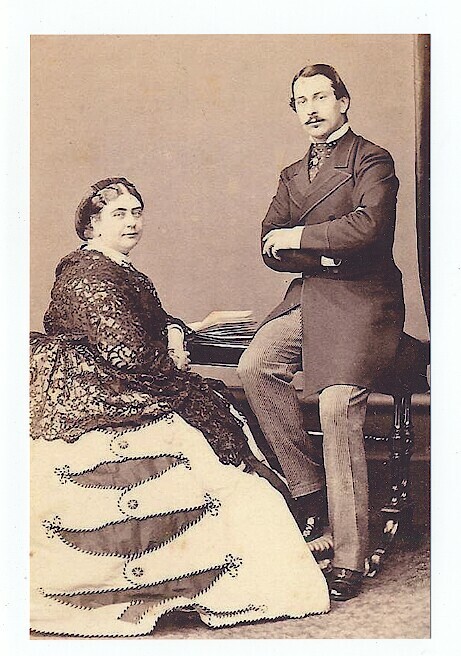 Francis, Duke of Teck was a member of the German nobility House of Württemberg; he was created Duke of Teck in 1871 by King of Württemberg. Count Francis von Hohenstein was his title at birth. He was educated at the Imperial Austrian Academy of Engineers from 1849 to 1853 and joined the Imperial Austrian Army as a lieutenant in the 1st Lancers in 1854. Without succession rights to the throne, Francis was not acceptable as a husband for princesses in most of the European royal houses. He further had little income in comparison with other European princes. He thus married into a richer family, by marrying his father’s third cousin (in descent from King George II of Great Britain) Princess Mary Adelaide of Cambridge, the younger daughter of Prince Adolphus, Duke of Cambridge, and a granddaughter of George III, who was known as ‘Fat Mary’ because of her wide girth. 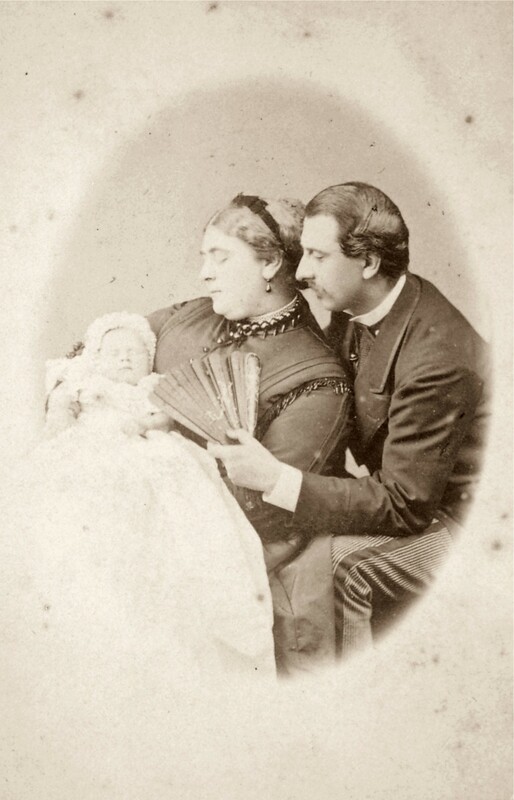 That, together with the fact that she was (by 1866) already in her thirties meant that Mary Adelaide was also short of choices for marriage. The marriage though was by all accounts a happy one and produced three sons and one daughter – Mary, even if wealth was not always there. Not many are aware of this connection the British Royal Family has with Croatia and it’s a detail that doesn’t leave any significant mark on the earth Croats walk on, or the world for that matter, but what could be positively significant from this visit is if after seeing the devastation still visible in Croatia from the 1990’s war of Serb aggression, his visit to Serbia and Kosovo does make a positive impact upon Serbia when it comes to their acknowledgement of the aggression and wrong-doing with view to moving forward in reconciliation. (By the way, the British Royal family also has family connections in Serbia with King Aleksandar Karadjordjevic of crumbled Kingdom of Yugoslavia marrying 1922 Queen Victoria’s great-granddaughter Maria [Romanian royal family]). Furthermore, the British representatives in the European Commission and the UN were among the loud ones who imposed various arms embargoes, so Croatia couldn’t defend itself from Serb aggression in 1990’s with any decent arms build-up, and various rules and ludicrous theories about how Croatia should/could be carved up into zones to give away parts of its territory to Serbs/Serbia etc and were very active and acted against Croatian independence from communist Yugoslavia. One only needs to think back of Lord Peter Carrington, Lord David Owen, Lord Paddy Ashdown – so much devastation to Croatia’s independence and democracy plights done by these three. A very negative post if you don’t mind me saying. You speak about British betrayal but this was a time of war. War is a time of chaos and sometimes bad decisions. You speak about Serbian aggression – I have visited Mostar in Bosnia (did the Croatians blow up the bridge?) and in Croatia I saw lots of evidence of Croatian aggression towards Serbs. Is it time to move on and build bridges rather than bomb them? If we wallow in the factual ugliness of the past we will never enjoy the potential beauty of the future. I would say that we should learn the lessons of history and plan for a better world! Maybe Prince Charles can push the British Government to give North Ireland back to Ireland where it belongs. The English/Brits have committed atrocities against the Irish yet, we get someone trying to tell us in his own way that “all sides are equally to blame” when it comes to us Croatians and war of aggression on our country by the Yugoslav/Serb Army not just in the 1990’s but from the first day that country was created in 1918. 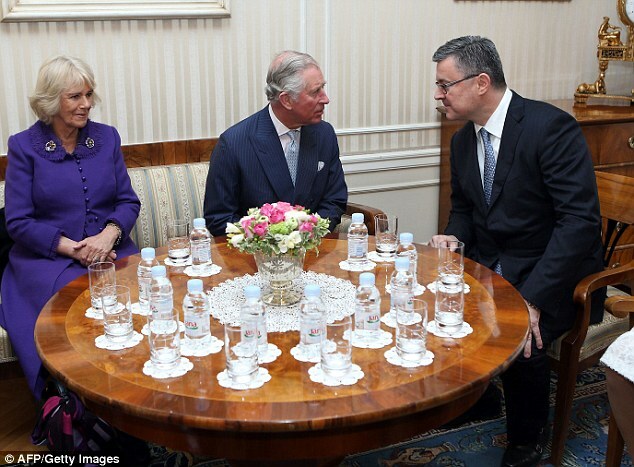 Prince Charles should apologize to the Croatian people for the deaths of over 250,000 of her men, women and children for their role in Bleiberg and the Krizni Put. I think you overestimate the importance of Prince Charles and the extent of his political influence. Thank you anyway for your helpful contribution to finding a solution to the Irish problem. This is the point, the actions and mistakes of the past shape the World we live in. It is our duty to look ahead and make the World a better place for those that come after us. Actually, this all happened during peace time. The war was over, so the masses who were handed over to Tito by the British were at that point, CIVILIANS. Were there war criminals among them? Probably. Several. But does that justify sending tens or even hundreds of thousands of innocent people with no crimes to speak of to their deaths or severely and systematically torture them? Jews, rightfully so, have worked hard to identify and prosecute those that were responsible for the extermination of their parents, grandparents and other loved ones. Are Croatians for some reason not eligible to do the same? Yes, the Croatian state during the war sided with the Axis powers. But so did a number of others. And after the war, when everyone should have been allowed to go back and go about his or her business, that opportunity was denied for masses of Croatians. For years Croatians have been made out to look like bloodthirsty savages by western (including British) media, because their staying on offense has forever put us on the defensive and rejected any legitimate counter-claims from our side. Most Croatians only want the truth. They already know the truth about the 1941-45 government and the nature of its rule of law. But what about the rest? What about these hundreds of thousands of civilians who lost their lives to communist hordes, many of them due to an unthinkably stupid decision made by the British in the spring of ’45? Is it too much for Brittain to at least acknowledge if not apologize for its blunder and condemn the decision its leaders made at that time? You make a passionate argument and one that makes a lot more sense than your previous reference to Northern Ireland which bears no comparison. With regard to the surrender and freedom of choice to surrender to a preferred victor I think there were several thousand German troops who would have welcomed the option to surrender to the Americans rather than the Russians. Several thousand Poles, who were on the side of the victorious Allies, who would have preferred not to be left to fall under the Soviet jackboot. To wage a war that includes genocide, ethnic cleansing and civilian atrocities as the Croatians did in 1941-5 I think they may have expected reprisals by the victors post war. That is harsh but true. So moving on. You argue that in 1945 Croatian forces and civilians should have been allowed to surrender to the Allies. By the same argument you would say that Syrian migrants who express a preference to reach Germany, Sweden and UK must be allowed to pass through Croatia while it turns a blind eye to the rules of the EU on registration of refugees and migrants. It is a complicated world that we live in. I will say no more on this subject as this is someone else’s blog and not mine. The Old Bridge in Mostar was used by the attacking Army of BiH for resupplying manpower, weaponry and supplies. Coinciding with the failed assault on Sjevernji Logor (North Camp), a push towards central Mostar took place on May 6, 1993. When military men and supplies (guns, ammo, grenades, mortar systems, mortars, anti-tank weapons, etc.) are crossing a bridge, that bridge becomes a military target. The ABiH territory controlled on the West bank of Mostar is approximately 50 meters deep and 800 meters north and south – with the Old Bridge almost in the exact center. Finally, the majority of the damage on the old bridge was committed in 1992 by the war criminal Yugoslav “People’s” Army, not the Croats. In terms of WWII, the fascist Chetniks and the Communist Partisans committed genocide as well – Chetniks against Croats and Muslims, Partisans against non-Partisan villagers. It was those crimes that fueled reprisals, and drove people into the ranks of NDH forces. This is fascinating but if you want to communicate with me do so through my blog and not one belonging to someone else. It is rude! Thank you Andrew for your regard, I don’t mind comments running into strings of comments related to posts on my blog – it’s up to commentators which way/on which blog to pursue a line of discussion. 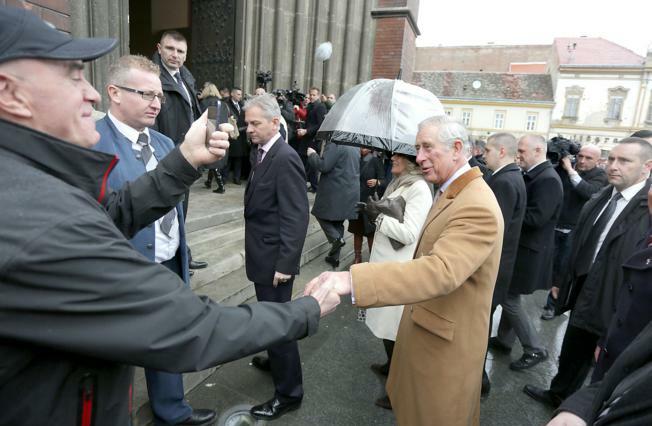 Prince Charles is a keen environmentalist and interested in organic produces so it was a delight seeing him enjoy the home-made culinary delights of Osijek and surrounds. A bit of fun in this place that has not recovered from that terrible war is always good. Thank you for posting Ina. Well stated. As for Andrew’s potentially offensive remarks…. How convenient for some. I suppose we should completely ignore all history from the gulags to concentration camps to holocaust and slavery, etc., because the truth ‘offends’ some people. As for Bleiburg. Please read and educate yourself. These tragic events did not happen in a ‘time of war’ but AFTER the war had ended in 1945, so please do not rewrite historical facts because they show the British government, (of that time and today since the British Archives on this remains sealed), in a very negative light. Please do not dismiss the slaughter of hundred of thousands of innocents (including women and children) because the British were indeed complicit in delivering these victims to Tito and his henchmen. Slovenia and Croatia have uncovered hundreds of mass graves, (there are more to be uncovered as far away as Montenegro), which apparently you may think should be brushed aside and forgotten in the annals of history. Perhaps most including you never had to look for a family member’s remains in a mass grave like the rest of us. As for using examples from the 1990s wars to justify mass post-WW2 slaughter….. this is another example of seeming lack of knowledge on this topic. Yes there were individual criminal acts against some Serb civilians in the war in Croatia (and the country has paid dearly for them and people have been jailed) but the wars of Serb aggression against Slovenia, Croatia, Bosnia-Herzegovina, and finally Kosova were well-orchestrated, equipped, and funded by the Serb regime in Belgrade. 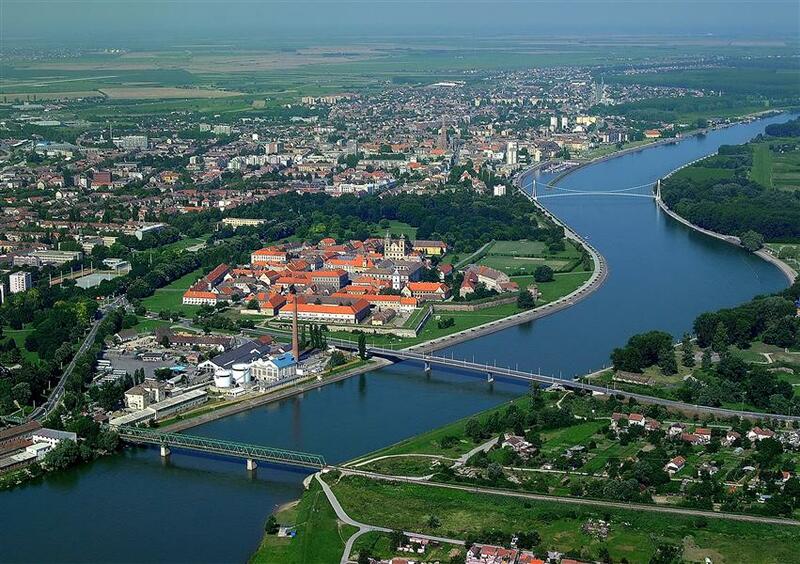 No Croatian or Bosnian soldiers ever set foot east of the Drina River into Serbia. Croatia and Bosnia were devastated, in terms of human lives and infrastructure, by a regime hell-bent on retaining communist Yugoslavia under the red star. To equate victims to the victimizers is offensive and some would say utterly ignorant. I apologise if I offended you, it was not my intention. I intended it as a positive note on reconciliation. With hindsight I concede that it was clumsy. However, If we comment on history we should do so without putting a patch over one eye! “Ships? I see no ships” (Horatio Nelson). On another note Ina, this piece by Dujmovic is so well-written and really sums up the plight of the diaspora and the evils of Tito’s regime. Not sure if you saw it, worth translating and posting. Thank you Veronika – I will try and translate or incorporate into a post as have been considering issues of diaspora to write about again. Much appreciated. I did not know this Ina.! Thank you for letting me in on this very well kept secret about Croatian lineage in the British monarchy. I wonder what my dad would do with this news.?!? lol.. Interesting post–thank you! I believe the non-regeining Italian royal family has connections with Croatia. A previous poster wrote about the historic bridge of Mostar earlier. I was in Catholic grade school at the time so I remember little of the news coverage on the American news. Years later, however, I saw the video of the bridge exploding and was stunned by the devastation. Today, the bridge is something you have to see in person! I’ve been fortunate to go twice and walk on it. It’s one of the things about Mostar that stands out for me. 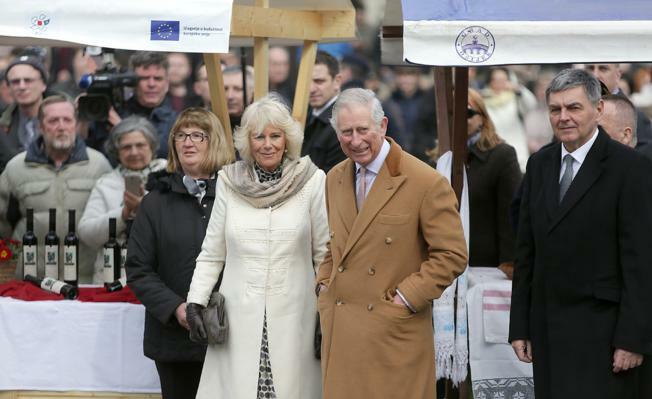 I don’t know if Prince Charles is aware of Bleiburg or not and of course he’s too young to have had a hand in that which wouldn’t have been a Royal responsibility but rather that of the British Government. However, if he does know of it, I hope he apologises on behalf of the British people. It’s no secret that ‘m a Royalist and would love to see the restoration of the Monarchies. I think that Kings/Queens these days are much more aware of the needs of their people and can be a barrier against the recklessness of some Prime Ministers who fancy themselves as Presidents (Tony Blair). I think they are good for tourism (if nothing else) and cite the problems of Greece and Italy after they abandoned their Monarchs. Charles is not popular in the UK but I personally have a lot of respect for him and his treehugging. He’s done wonders for natural farming on his land and for architecture by his honesty about some blots on the landscape. I think he’ll make a good King should he ever be allowed. I hope his visit fosters great relationships with Croatia from now on. From Facebook: Ina, in a way it is heartening to see that even the British Royals share an experience not so uncommon to very un royal ordinary folks of Croatian extraction even here in America. 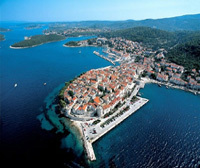 Until the 1990s, in many places, one very often did not speak very publicly about having Croatian ancestry. First of all, it was as though we were from some blank spot on the map of the world. People knew more about the moon than they knew about us. There were prejudices we faced as well, so we simply kept quiet. I’m not excusing the Royals, they might have helped but somehow I see they may have experienced the same as the rest of us. Jolly good article. Thank you. Cheers Robin and I do hope that things get much easier in the future for all. 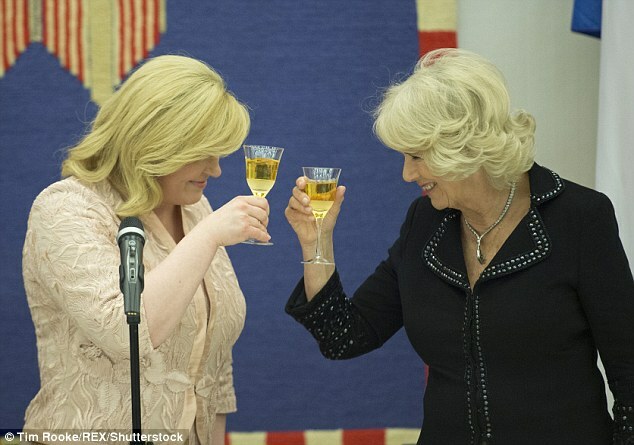 This was the first news I heard of the visit Ina.. And while it is very good for promoting good relations, and I know both Charles and Camilla so excellent work for their charities.. And are in touch with the real world.. Prince Charles is renowned for writing to politicians 🙂 and has got into hot water for his views.. There is a lot of work still needs to be done to help heal and bring unity and Peace..
Let us hope the past can help bring about healing.. Just as those who are finding themselves refugees now are the seeds of future unity or further divisions..
We each have a choice to embrace each other and hold out our hands in friendship.. I hope we all learn from the past..
One is that you seem to suggest that crimes against humanity committed by Tito’s partisans are somehow justified, without any trial or evidence, you are suggesting it was expected that children as young as 6 should be killed by Partisans because of crimes committed by the Ustashe or Domobrani. If we use that half-baked logic then Bosnians and Croatians slaughtered by the Serbian Cetniks is enough of a reason for us to kill Serbs in Bosnia as reprisal. After all, it’s to be expected. Srebrenica in the 1990s was an extension of genocide in eastern Bosnia committed by the Serb Cetniks in the 1940s. In the last 20 years, much evidence has come out by prominent scholars, foreign, Croatian, and Serbian, that has shown that the numbers killed in WW2 in the Balkan region were not just grossly exaggerated but flat out lies. There are names listed on the Jasenovac monument of people who were alive and well. Scholars like Leljak and Jurcevic have shown us that these numbers were grossly exaggerated for a number of reasons: to increase international aid to Tito’s Yugoslavia and to demonize the entire Croatian population. They did a good job of spreading this information across diplomatic channels and various forms of media from 1945 – 1990. That’s a long time to repeat agit-prop. So Andrew, I would be mindful about repeating this propaganda because it is akin to repeating Soviet propaganda when it comes to countries like Ukraine. Was it Goebbels that said if you state a large lie enough times it is eventually believed? 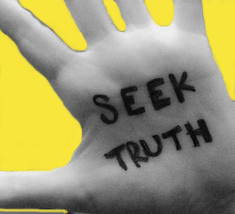 There cannot be peace and reconciliation without truth and justice anywhere in the world. I think we owe the truth to the peoples of this region and only then can any healing begin.